Team Darkaynu is once again looking forward to walking, running, and jogging in our Holy City with tens of thousands of others. 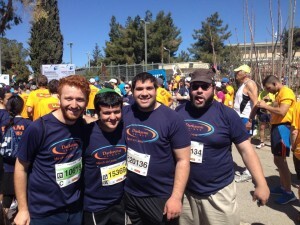 Join staff, students, and friends of the Elaine and Norm Brodsky Darkaynu Programs for young men and women with special needs as we participate in the sixth annual Jerusalem Marathon on March 18, 2016! As we have done for the past four years, our team will run to spread awareness of our Darkaynu Programs, to bring honor to our students (who will be running alongside their mainstream peers), and to raise much-needed funds for our scholarship fund. Last year’s team was able to collectively raise almost $50,000. This year, we’d like to bring up that number to $57,000 – tuition for two students – WITH YOUR HELP. Please make a generous tax-deductible gift to Darkaynu and consider running your own campaign on our behalf. 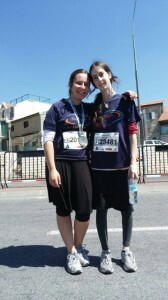 Better yet – start training now and join us on March 13, 2015, as we proudly run through Yerushalayim בדרכינו – in Our Way. The Elaine and Norm Darkaynu Programs are unique because students are sidestreamed in specialized, highly-supervised programs within the larger environments of other ove rseas programs for mainstreamed young adults. This empowers Darkaynu students to participate in activities in which they can excel and build confidence, i.e. dorm experiences, meals, weekends, outings, celebrations or leisure time, but separates them for those in which they need individualized attention, such as in the classroom, or in workshops tailored specifically for them on subjects ranging from life skills, independent living or interpersonal relations. Darkaynu also provides each student with vocational training, work and volunteer placements, a personal “adoptive family,” and an abundance of social opportunities which they couldn’t possibly experience on their own. 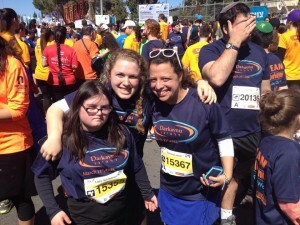 Read more about the Darkaynu Program for Women and the Darkaynu Program for Men, the only year-in-Israel experiences for teens with special needs.